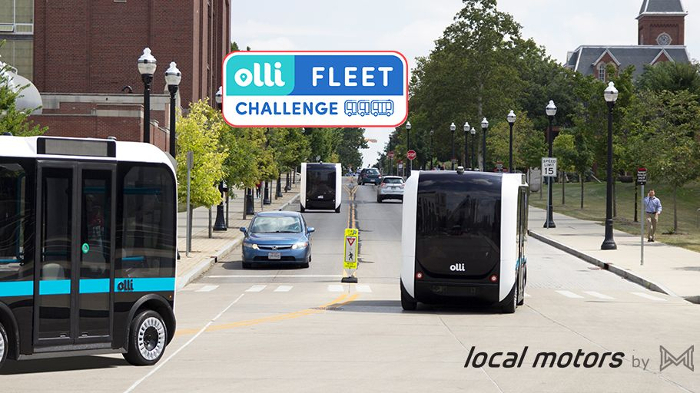 The Local Motors division of the LM Industries Group Inc., the world’s first digital OEM, has launched a second fleet deployment challenge for its Olli autonomous shuttles, and unveiled the names of the winning entries for the company’s first challenge to find suitable ‘use cases’ for its vehicles. 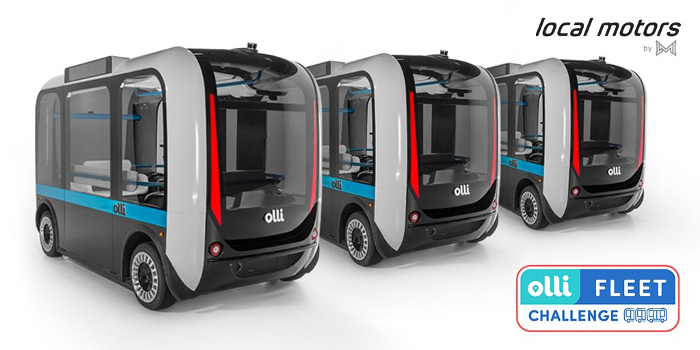 Launched in October, the first challenge invited municipalities, campuses and designated districts to propose a three-month, local use for Olli, the world’s first co-created, self-driving, low-speed, electric shuttle, which is approximately 30% 3D-printed. 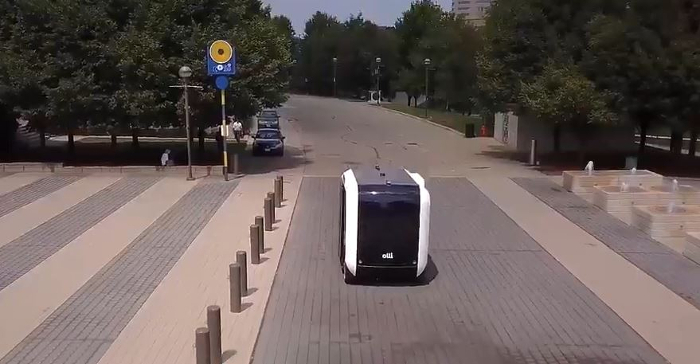 Designed to solve the problems of relatively short-range mobility problems, Olli employs a robust autonomous drive system developed by Robotic Research. A safe and efficient self-driving shuttle, Olli is a viable and sustainable transportation option for cities, hospitals, campuses, entertainment districts and any other location where people need to move from one place to another over short distances, helping to solve the first-mile/last-mile quandary. 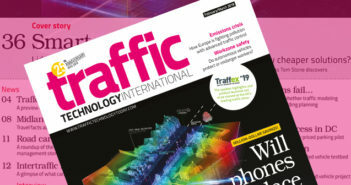 Open to entries from the Greater Phoenix (Arizona) and Sacramento (California) areas, the first fleet challenge invited municipalities, campuses and designated districts to propose a short-term, local use for Olli. The East Valley Institute of Technology (EVIT), Arizona’s first joint technical education district that serves the eastern portion of the Phoenix metropolitan area; and California State University in Sacramento, the state capital’s major educational establishment, which has over 30,500 students and is spread over 305 acres (123ha) on the main campus. Local Motors officials will begin mapping the winning locations within the next few weeks and expects to deploy fleets for public use by the end of January 2019. Having unveiled the names of the winning entries for the first challenge, Jay Rogers, CEO and co-founder of Local Motors, announced the start of the second challenge, which is open to entries from the Greater Washington DC area, and runs through until February 6 next year. One location will be selected to receive a fleet of eight-person Olli shuttles to use for about three months. 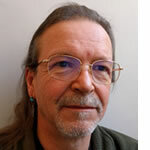 Additional fleet challenges, with unique judging panels, will continue to roll out in the coming months. Shailen Bhatt, president and CEO of the ITS America, will serve as one of the judges for the Washington competition.